MM Fab, Inc. has been owned by Richard Friedman since 1972 and is the parent company to Wilmington Prints and Wilmington Batiks. MM Fab began as a leading apparel fabric supplier to both the retail and manufacturing industries until Richard shifted the company’s focus to supplying 100% cotton fabrics for the growing quilt and craft market and for specialized manufacturers. MM Fab is 42 years old and is still a family business with Richard and his wife Gloria running the company with the continuing objective to supply the market with the finest quality products and the freshest new designs. Wilmington Prints started as a small division of MM Fab in 2005 and has since grown into a national and international wholesale supplier to the quilt and craft industry with a national exclusive sale force and 8 international distributors. WP offers 100% cotton fabrics of the finest quality featuring unique fabric designs that showcase the talents of many artists, both well-known and “new”. WP is proud to offer exclusive in-stock programs – the extensive and growing Essentials basics collection, the Essential 108” wide prints for backings and home dec, and Essentials Flannel basics in both 44/45” and 108” widths – all have become popular “color wall” staples in the very best quilt stores. Essentials are also now offered in packs of 2 ½” strips – Essential Gems – in a variety of color combinations. WP also provides complimentary on-line projects that feature every design group, including the Essentials and Essential Gems. From those first two design groups in 2005 to today, Wilmington Prints has become the place to find “what’s fresh and new” in cotton fabrics! All the best batiks are produced in the South Pacific (an area known as Batavia during colonial days). Since its debut in 2011, Wilmington Batiks has become a popular supplier of beautiful, fine quality batik prints for the quilt and craft markets, a growing in-stock program of Batik Basics, and new Wilmington Jewels – 2 ½” strip packs. 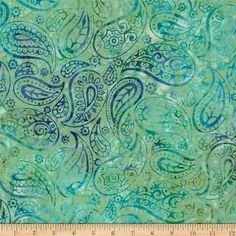 Wilmington Batiks is available to stores through Wilmington Prints sales reps.